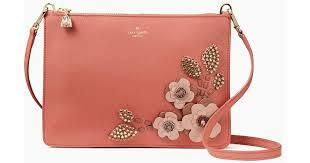 We just love this embellished pink leather crossbody – and so will you! 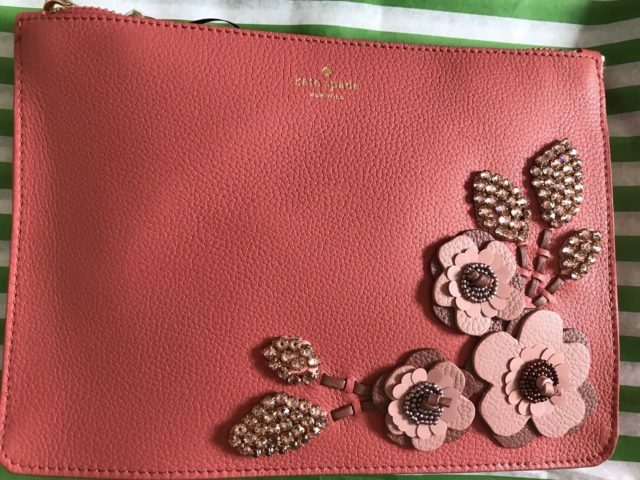 This adorable purse features flowers in shades of pink with rhinestones, to add some sparkle to any ensemble. This bag, like all purses in the On Purpose line, was made by hand and the tag signed by the artisan. We are proud to have this beautiful bag on our raffle table this year – thanks to the sponsorship of Robert E. & Karen Maguire. If you MUST HAVE this bag, then you MUST COME to our 5th Annual Women’s Forum and Purse Raffle! Join us on October 21st to welcome Candy O’Terry to Woburn, take a chance on some fabulous designer purses AND support new programs in the Woburn Public Schools! Get your tickets today! 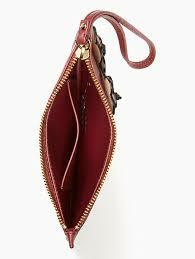 On Purpose supports women-led businesses in underserved communities to make this line of unique handbags. These women, in turn, empower each other and their families and transform their communities. In 2014, Kate Spade New York began working with a group of 150+ talented artisans in Masoro, Rwanda. Since then, these women have built a thriving self-run business and they produce all of our on purpose label accessories. their success is re-shaping the lives of 20,000 people in their community.